BK, where do you pull the link from in drive? I can get a shareable link, but it doesn't look like your example. Don't use the "Share" option in the drop down. BK, what is with the changing 'open' to 'uc' part? Thanks Badknees...I have a Google account, just couldn't make it work. Will try it soon. Hey! You got it! Free and easy. This is why I like pencil sketches. Come on! You’re an intelligent guy and I have provided a 15GB free effective solution. How about “Gee BK, thanks for the 15GB free effective solution” ? Everyone likes a free effective solution. Don’t they? You are, of course, completely right, BK. Thanks for the free effective solution! Currently my squirrels are on strike. Once I get the cage moving again, I'll try this out. You know I’m just messin with you. I don’t use this technique generally, because I already have a hosting solution with my web presence, but this works well for those who don’t. Once you access your google account and do it one time, it’s really is pretty simple. Someone who knows more about this can perhaps comment, but I think that the board software caps the image size displayed in posts to 640x480 pixels no matter what size one specifies on Flikr. The displayed image size is capped at 640x640. This means anything larger is scaled down to fit within that size. As we found out the hard way several years ago, extremely large embedded images in a post with lots of them can bog down the software so much that the page won't fully load. 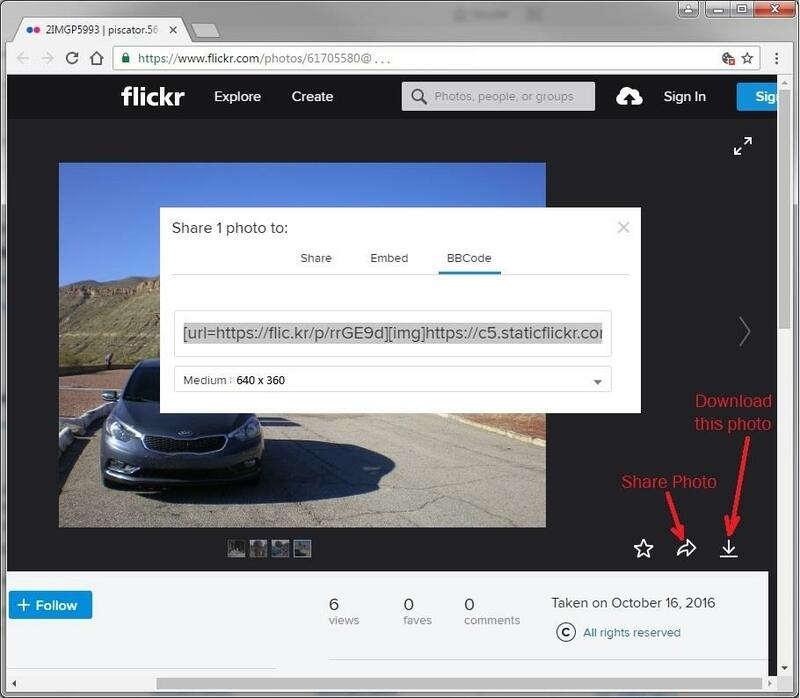 Using Flickr lets you select the size of the image to embed, while providing a link to the one on their site where the viewer can select from available resolutions. For most other hosting sites, Imgur, etc., it's a balancing act of optimizing file size and resolution. In my test post, the large image looks larger than the medium on my desktop, and both are bigger than 640 x 640, so I'm a little confused. Also in the report I just finished, I used Large 1600 x 1200 images from Flickr -- I didn't realize people had replied to this thread until just now. Apologies if that is going to slow down the software. All of the different sizes you posted look the same in the forum. If some look larger that means you are probably opening the original file on Flickr. It doesn’t matter which size you link, the forum will resize dynamically to a max of 640 on the longest size. It is of little value to post photos larger than that unless you want to be able to link back to the original for a specific reason. If you open a full sized link in a new tab your browser is serving the link, NOT the forum. Another thing to realize is that the forum software determines the maximum size that is displayed in YOUR browser. Either way if you link to a 10mb file, the hit for bandwidth still exists, but the CSS interpolates the large file so that the forum only serves a 640 pixel maximum dimension(can be defined) for height or width. DSR, 1600x1200 is fine. That's about what I usually post when using imgur, etc. For maximum efficiency (can you tell I'm an engineer? ), using the 640 option with Flickr is ideal. Anything larger requires resizing. Either way, the viewer has the option of seeing the original by clicking through to Flickr. Also, the board's software is not completely reliable or consistent when displaying images. Oftentimes the preview function will show something larger than 640x640. Also, it can get confused by long hyperlinks in a post and end up not resizing images. All part of the fun of using freeware. The problem I mentioned earlier happened when a user posted a ton of pictures in a single post, each having a file size of over 10Mb. Took me an hour or two to clean up that mess. And to embed photos from photos.google.com, you need to go to the image page and right-click on the image to save the image address (which will be huge). Even though the URL for the image doesn't end in .jpg, the board seems to still recognize it as a photo and it works when pasted inside [img][/img] tags.